Tonight I traveled to the Calihan Hall to catch a pair of MHSAA quarterfinal games: the first game pitted Michigan recruit Isaiah Sykes and Detroit Denby against Taylor Kennedy. The second game featured Michigan commit Carlton Brundidge and Southfield taking on De La Salle. 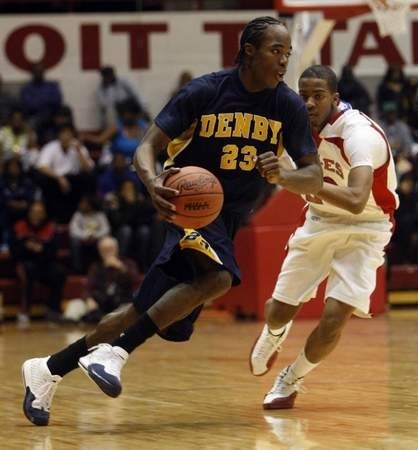 First, Denby and Isaiah Sykes who beat Kennedy 47-37. The first quarter was all Denby. Sykes’s team was just taller and more athletic at every position, and they asserted themselves in the beginning of the game. Kennedy slowed the game down nicely in the second quarter though, bringing the game to within four points, and the two played relatively even for the third quarter as well. Finally, Denby got a few crucial turnovers late in the game to pull away with a convincing victory. Denby’s defense was very good, especially inside, and Sykes had a lot to do with that. Unfortunately, I have far fewer notes on this game than the Southfield game because I was filming this one and just watching the other. Let’s skip right to Sykes – his statistics: 19 points, 9 assists, six rebounds, and three blocks. He can score whenever he wants. He looks about 6-4 and is listed anywhere from 6-3 to 6-5, and he knows how to use his body. He was bigger than almost everyone on Kennedy’s roster, and he used that to his advantage. He has an impressive array of crossovers and spin moves that allow him to easily get in the paint. From there, he’s a good finisher. He is very, very athletic. This kind of involves the previous point, but this factors in on the defensive end, as well. He’s a decent on-the-ball defender, but he was great tonight on help defense, as evidenced by his three blocks. He has great quickness and serious leaping ability. Never hurts. He has great vision. I was not expecting this going in, but Sykes sees the court really well. His eyes were always up and he dished out nine assists. He’s really good at getting in the lane, drawing defenders, and dumping the ball off to a teammate down low. He had a couple of very impressive passes, as well as a few that should have been assists. He played a little bit of point guard during the game tonight, but that’s not where his coach has him regularly. It didn’t seem like he could shoot. I say this instead of “he can’t shoot” because technically, since I didn’t see him take a shot outside of the paint, I don’t actually know if he can shoot or not. But, judging by his form on free throws, I think it’s a safe assumption (I think he was 50 percent from the line for the game). So, on the off chance that Michigan lands Trey Zeigler and Isaiah Sykes, that gives the Wolverines three guards (Morris, Zeigler, Sykes) who certainly won’t be regarded as shooters. He doesn’t really move without the ball. I don’t have a huge problem with this because I think a lot of that depends on the system, but when Sykes didn’t have the ball in his hands, he wasn’t all that active. I think this con is definitely coachable. There were a few times when he spaced out on defense, which is why I said his on-the-ball defense was decent and not great. I think this is also coachable. Overall, I thought Sykes was solid. 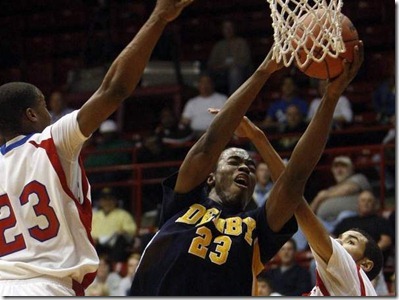 I was impressed with his scoring ability, athleticism and vision. He played a great game and has led his team on an incredible run to the state Semifinals. The Wolverine posted an article with a couple quotes from the wing, who calls Michigan “home”. 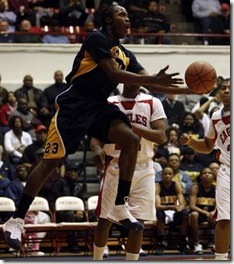 On to Michigan 2011 commitment Carlton Brundidge and Southfield, who beat Kennedy 67-57. 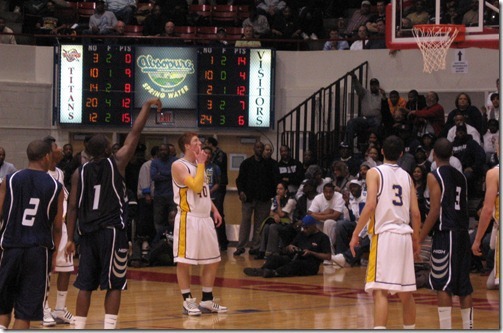 Southfield started the game ice-cold on offense and a little lackadaisical on defense. De La Salle scored its first few baskets on backdoor cuts when Southfield just fell asleep, and Southfield couldn’t hit anything. Eventually Southfield’s defense came alive and they started converting steals and long rebounds into fast-break points and opened up a 10-point lead. From there, Southfield slowed it down in the second quarter, but they still couldn’t hit jumpers and Carlton Brundidge did nothing the rest of the half. He finished the first half with less-than-great stats. 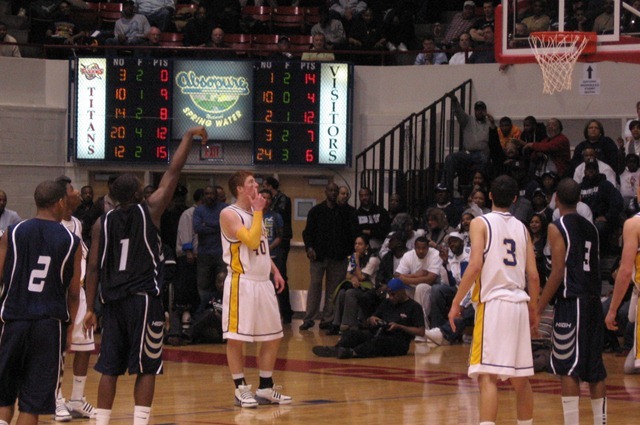 De La Salle came back after halftime and gave Southfield a serious fight in the third quarter. It was so serious that Brundidge went into his “I’m just gonna get in the paint and either score or get fouled” mode just to keep his team ahead. Even with Brundidge scoring, De La Salle cut the lead to two with some timely 3-pointers late in the third. During this frame, Brundidge also had at least two passes that should have been assists but weren’t finished. The game continued to be close in the fourth quarter, with De La Salle tying it up early in the last frame. Brundidge continued to operate like a bulldozer but this time got some help from his teammates and Southfield pulled away for a ten-point win. Brundidge’s final stats: 17 points, 5 rebounds, 2 assists. I just really like the way Brundidge plays. He tries to take on the role of playmaker early in the game to get his teammates involved, and usually they’re good enough to get the job done (like in the earlier game against Clarkston that I scouted), but he knows when his team needs him to score, and that’s an important quality. When he decides to be a scorer, there isn’t anybody in high school I can think of who can keep him from getting to the basket and at least drawing a foul. In a way, it’s Manny-like, but I would argue more in control. He has wonderful body control, which saves him from picking up charges. Very excited about him and especially pumped to see what he does next year. Elsewhere. 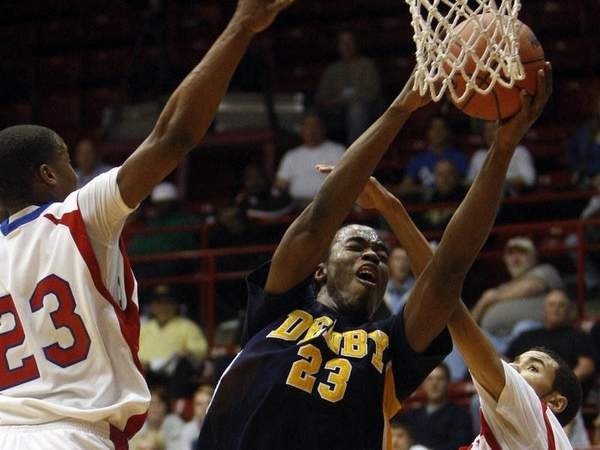 Detroit Country Day defeated Flint Powers, 63-47, in front of both John Beilein and Tom Izzo. Amir Williams had 17 points for Country Day but Ray McCallum (who is rumored to be leaning toward U-D) led all scorers with 24. 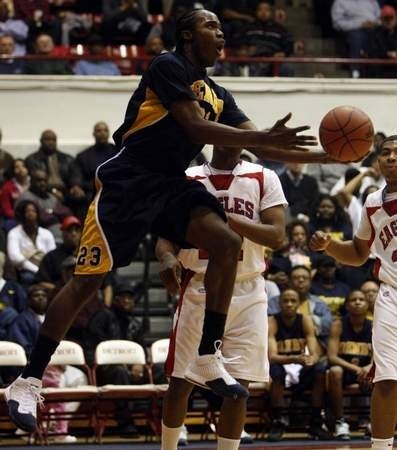 Saginaw Arthur Hill was upset by Ann Arbor Huron, Huron will face Southfield at 1PM Friday. Kalamazoo Central handled Grand Haven and will face Denby after the first Class A semi.